Vivaldi Music Academy offers exceptional music lessons to students of all ages and levels in a fun and engaging environment. We focus on core principles and incorporate the music you enjoy. Beginning students can expect to start with the fundamentals, learn proper technique, rhythm, and reading music in a variety of genres. Intermediate to advanced students continue to experience progress with increased proficiency in technique in addition to mastering significant repertoire and developing overall musicianship. We celebrate the uniqueness of every student! Our world-class Vivaldi faculty take care in creating a unique curriculum for each student, utilizing various teaching methods that work best for the individual and focusing on your musical interests. 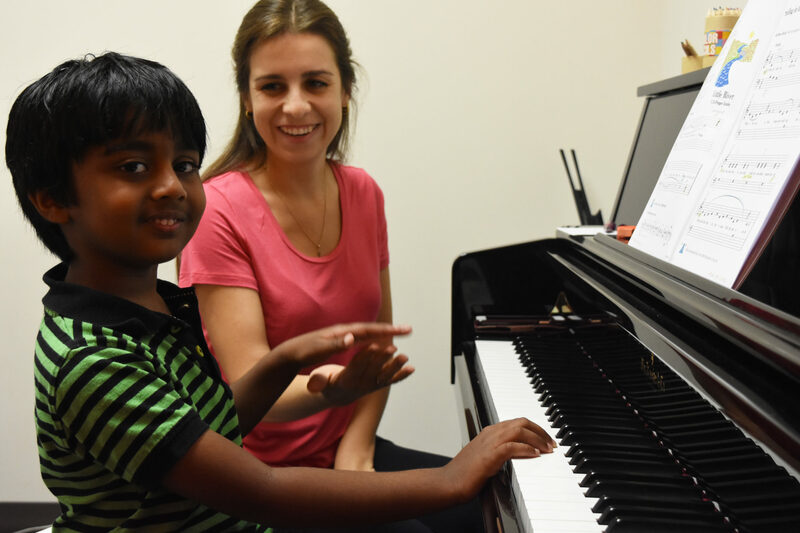 Whether a beginner or an advanced student, our passionate teachers give students of all ages and levels the tools to develop musically and nurture a life-long love of music. The Vivaldi approach of a comprehensive music education includes theory, ear training, sight reading, technique, and history with the best and most experienced music teachers in the Houston area.